Race is biological fiction—a social construction with no scientific basis in anatomy. Race is a mythological pseudoscience. Notwithstanding, there are physical, tangible realities that are consequences and causation of the immutable dynamic of race. How can an epistemological idea trigger incontrovertible materialities? Why is the hegemony between Black skin and white polities so pronounced? How can we attain tangible human rights when our battle is phantasmic? 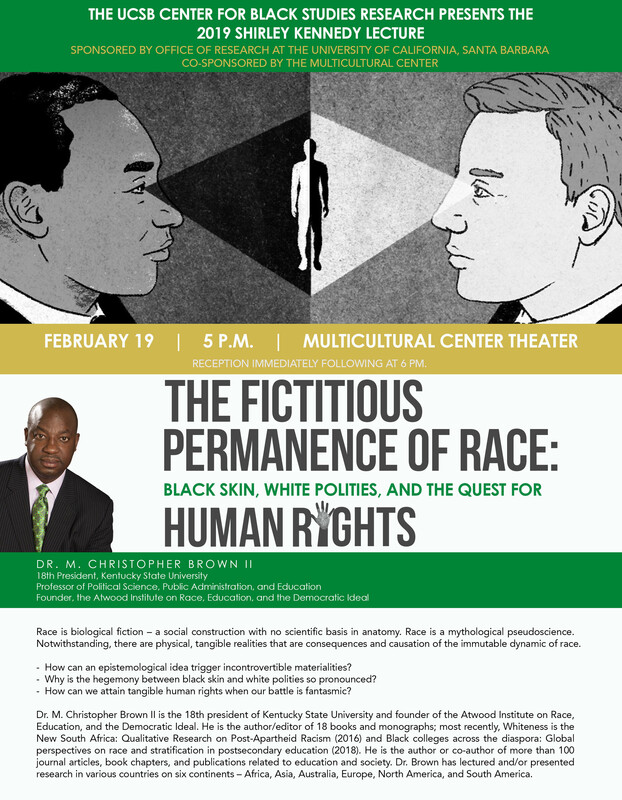 Dr. M. Christopher Brown II is the 18th president of Kentucky State University and founder of the Atwood Institute on Race, Education, and the Democratic Ideal.